Schedule an appointment to find out if a custom tailored suit is right for you. We look forward to meeting with you, and discussing your wardrobe needs. Thank you! We will be in touch shortly to discuss your clothing needs. We look forward to meeting with you! 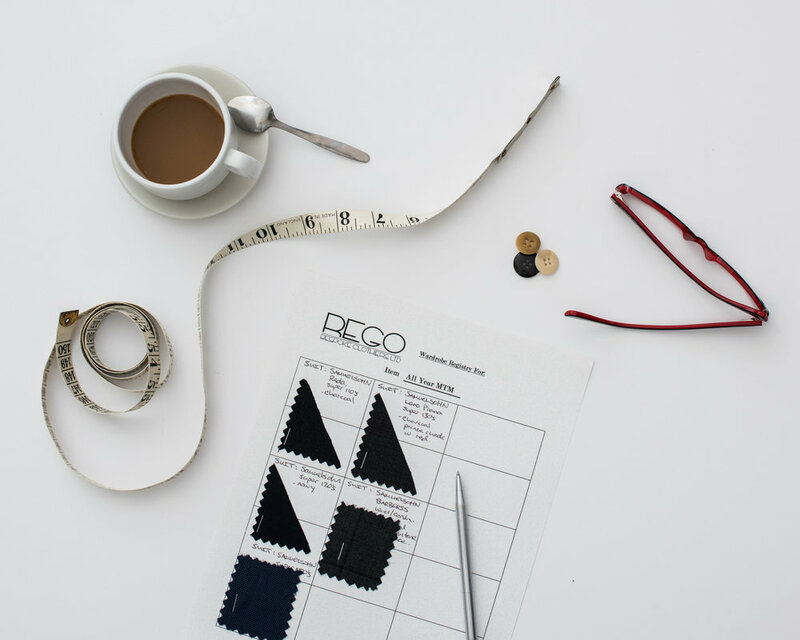 To ensure a perfect fit from head-to-toe, our comprehensive Made to Measure program features fully measured suits, jackets, trousers and coats. Additionally, Made to Measure allows you to choose from countless design options, and 100+ Italian fabrics. A perfect fit shouldn’t just be limited to a jacket: with Rego Bespoke’s Made to Measure, you can customize your dress shirt for a look that’s truly unique. Choose from hundreds of fine cotton fabric, color and pattern combinations, and add your choice of cuff, collar, pocket options, and even add your initials with a monogram. Made to Measure suits, jackets, trousers, coats and shirts are available at our store through our Made to Measure program. You can call to book an appointment. Please allow 5-7 weeks for creation and delivery. With our travelling service, you can acquire made to measure clothing without having to come to our store. At the moment, this service is only available at your home or office in Toronto. We work really hard to create one of the best Made to Measure products in Toronto. Stop by and and let’s talk about how to create a confident impression with your wardrobe. If things don’t work out the way you expect – let us know so we can make it right. We always do. And that’s a guarantee we stand behind. If you’d like to book an appointment for other services, please use our appointment scheduler.